Eleven years ago, I got hooked on Top Chef while… ironically… working out at the gym. I don’t think the other gym-goers appreciated the decadent food visuals- I got a lot of side-eye- but I was mesmerized by the lightning fast pace of the challenges and the culinary problem-solving. That initial encounter blossomed into full blown fandom; I’ve interviewed chef-testants and dined at their restaurants. It’s crazy to think that the latest installation marks the show’s FIFTEENTH season- and that one of Connecticut’s own chefs will be one of fifteen to compete for the coveted title. 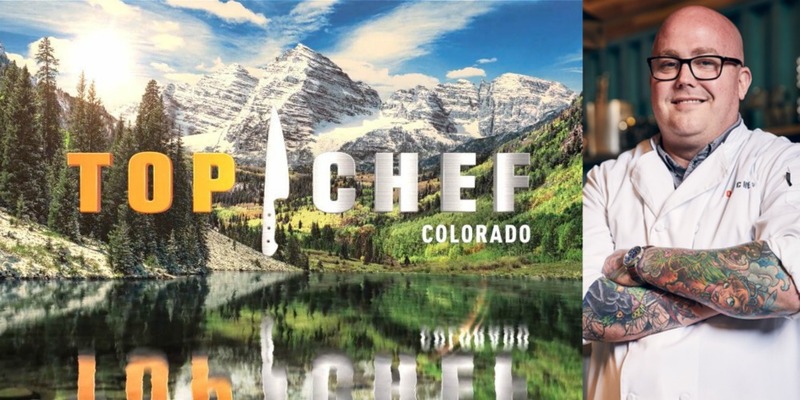 Chef Tyler Anderson of Millwright’s in Simsbury will vie for Top Chef when the series debuts on December 7! Anderson’s Top Chef journey began when someone from casting reached out to him and asked him if he was interested in doing the show. From there, he went through an extensive audition process including trips to California and psych evaluations. About three weeks prior to filming, he received official word that he’d made the cut. Anderson, a James Beard nominee with a following here at home, had to make preparations for his departure. “I have a really great team at Millwright’s and we’ve worked together a long time, so I felt super confident letting them take the reins,” he explained. However, Anderson was also in the process of opening The Cook & The Bear with James McDonald of Bear’s Smokehouse. “Chef there Ed Jones really crushed a lot of the opening duties leading up that I would have normally been involved with,” he told me. The upcoming season will take place in Colorado, though Anderson notes production was “very tight” about what they could go out and do. Tasting lasted about two months, with chef-testants sharing a house in between competing in shorter “quickfire” challenges and more complex elimination challenges.